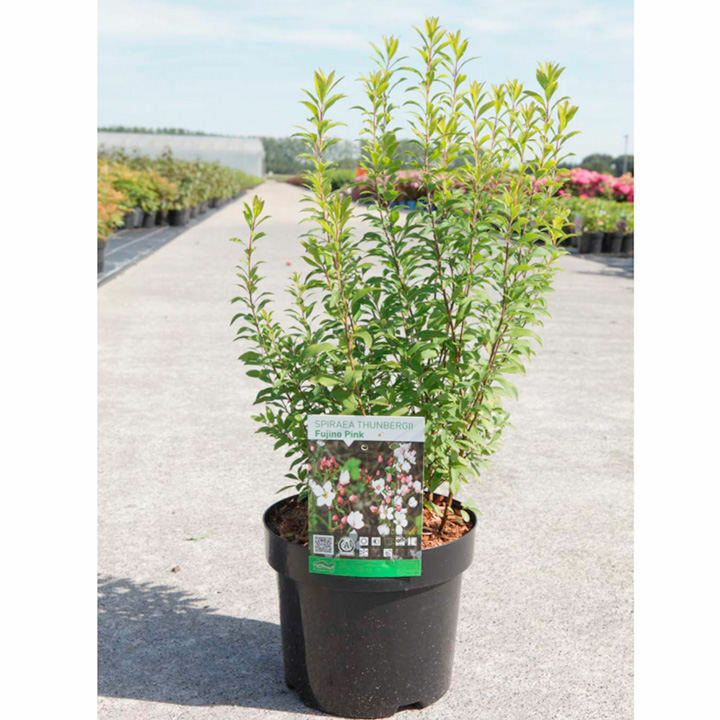 This Spirea produces small, fine textured willow-like leaves with toothed edges. It blooms in early spring, pink buds opening to white flowers all along the stems. Height 50-60cm. Supplied in a 7.5-10 litre pot. 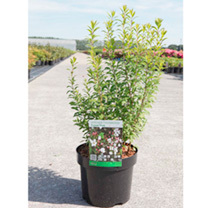 This Spirea produces small, fine textured willow-like leaves with toothed edges. It blooms in early spring, pink buds opening to white flowers all along the stems. Height 50-60cm. Supplied in a 3 litre pot or 7.5-10 litre pot.